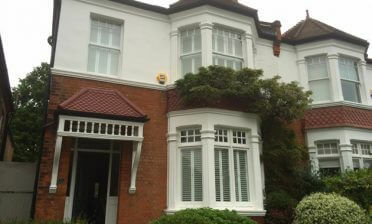 We were back to install some shutters for a returning customer in East Dulwich, South East London. 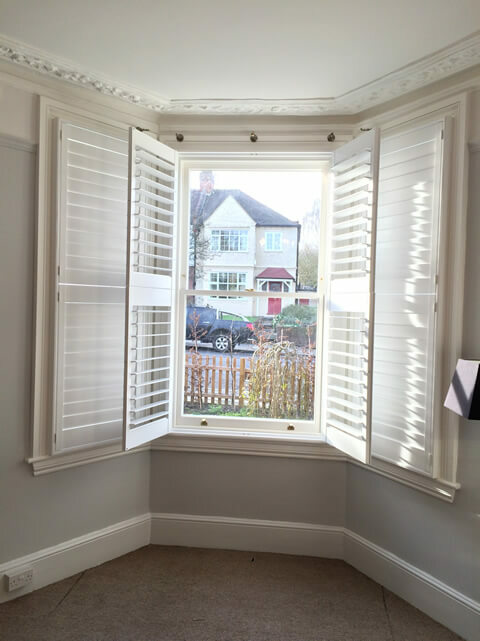 This customer was now looking to have some of our shutters fitted to their living room bay window which faced onto the street. 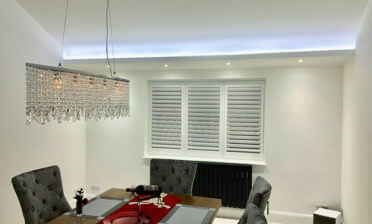 The customer was looking for shutters to compliment the living room bay window both from the inside and outside. Using a Tier on Tier style of shutters with the existing sash style windows resulted in the perfect look both open and closed. 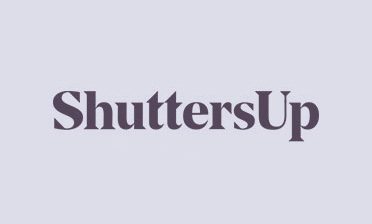 The Tier on Tier shutters allow for the homeowner to open and close the top and bottoms of each panel as well as adjust the louvres on any section. 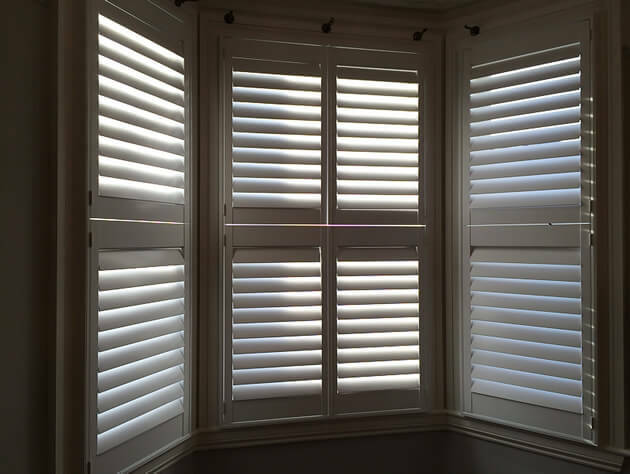 These shutters were put together using hardwood from our Cuba Range which is an environmentally friendly solution which results in a lightweight yet very rigid solution for many types of windows. We used thick 89mm louvres on all panels with a hidden tilt rod system for adjustment without a visible tilt rod. We finished the shutters in a pure white paint with matching hinges, which compliments the existing window paint and room decor. These shutters have drastically improved the look of the window area from inside and out, as well as helping with privacy issues from the street outside. The Tier on Tier style allows for maximum light entry while conveniently blocking out the lower section at street level when required.